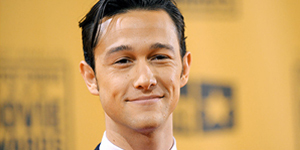 Joseph Gordon-Levitt to play the lead in ‘GUARDIANS OF THE GALAXY’? How’s this for exciting casting news to kick off the New Year? Deadline is reporting that Joseph Gordon-Levitt is now in the mix to land the lead role of Peter Quill in James Gunn’s Guardians of the Galaxy. JGL’s name comes as a surprise because over the past few months we’ve heard various names thrown around for the role of Quill–including Joel Edgerton (Zero Dark Thirty), Lee Pace (Lincoln), Jim Sturgess (Across The Universe), and Zachary Levi (Chuck)–with JGL’s name noticeably absent from those lists. 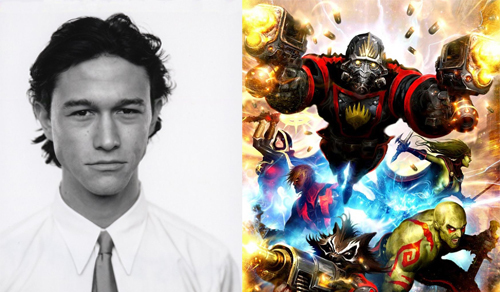 Recently, Sturgess and Levi had emerged as the front-runners for the lead in Marvel’s new film, so the announcement that JGL is now in the mix, and may have even already been offered the role, is surprising on a few fronts; namely, that Gordon-Levitt has been rumored to be reprising his role as John Blake in a Man of Steel cameo and possibly even as Batman in the new Justice League movie. While his casting in Guardians of the Galaxy wouldn’t necessarily be a death sentence for those two scenarios, it would be highly unlikely that JGL would devote several years of his acting career to strictly playing superheroes, especially given how high in demand he is right now. As much as I loved JGL in TDKR, I for one do not want to see him reprise his role as John Blake in any capacity. DC, and namely Warner Bros., need to let Nolan’s trilogy rest in peace and go in a different direction. Reboot Batman with a new actor and a new look. I also love the move by Marvel going after DC’s proverbial Golden Boy, the one who may be chosen to carry the Batman franchise into the future. It’d be like if the Minnesota Vikings went out and signed Aaron Rodgers after the 2007 season right after Brett Favre retired and Rodgers was set to be handed the reigns to the Packers franchise. JGL played the sidekick in TDKR, but he’s proven he is capable of starring in his own solo superhero film, whether or not it is with DC. Personally, I’d love to see JGL suiting up for Marvel rather than DC because Marvel has shown they have a passion for their properties and characters whereas DC and Warner Bros. hope that a big budget and mediocre screenplay will equal a big payday (i.e. Green Lantern). So excited! Almost as excited as I am for Ender's Game! He was great in Looper so he can definitely pull this off. Oh, and totally agree with your Marvel vs. DC comparison too. I definitely think he's better off with Marvel than DC, and I'm also psyched for 'ENDER'S GAME'!